Buying undervalued assets results in positive valuation returns. Buying overvalued assets results in negative valuation returns. 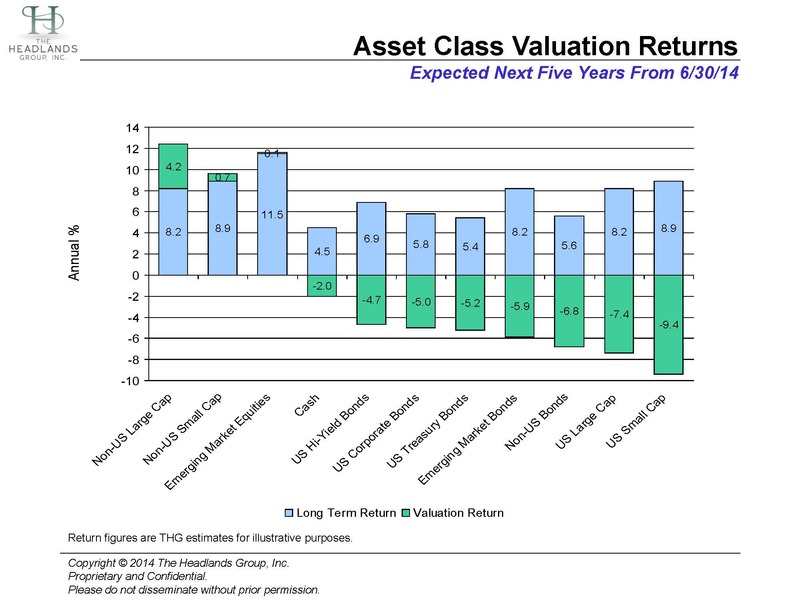 Non-US equities (large cap, small cap and emerging market) offer the best opportunities for valuation returns, while US small and large cap equities the worst.